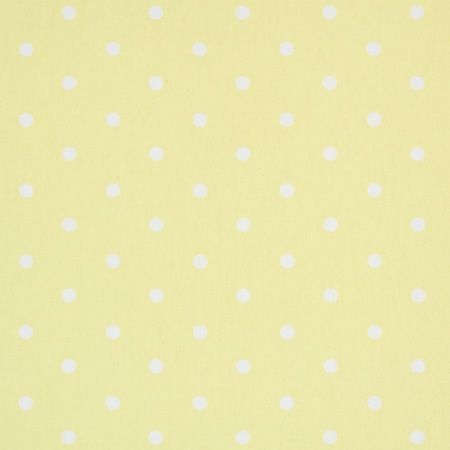 A pastel yelllow background with white spots. White spots measure 1cm. Vertical pattern repeat of 6cm. Horizontal pattern repeat of 7cm.